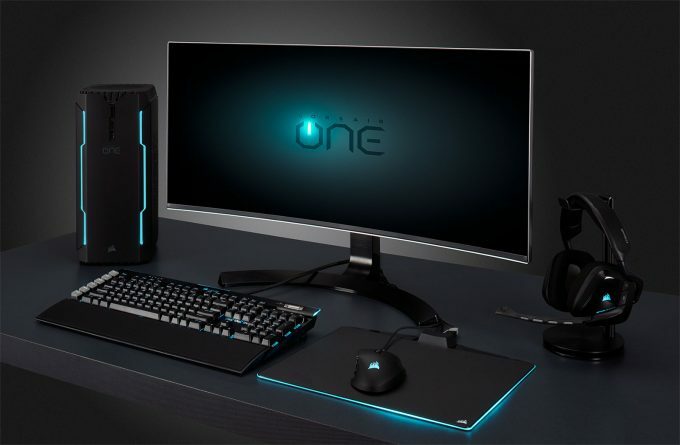 One month short of the first birthday of Corsair’s ONE, the company has updated the lineup of PCs with two new models: ONE ELITE, and ONE PRO PLUS. Coffee Lake’s the name of the game here, and it’s no surprise given the previous inclusion of the i7-7700K that the latest CPU to grace ONE is the six-core i7-8700K. Because Corsair makes an overwhelming number of components in the ONE, it shouldn’t come as much of a surprise to learn that both the CPU and GPU are liquid cooled. 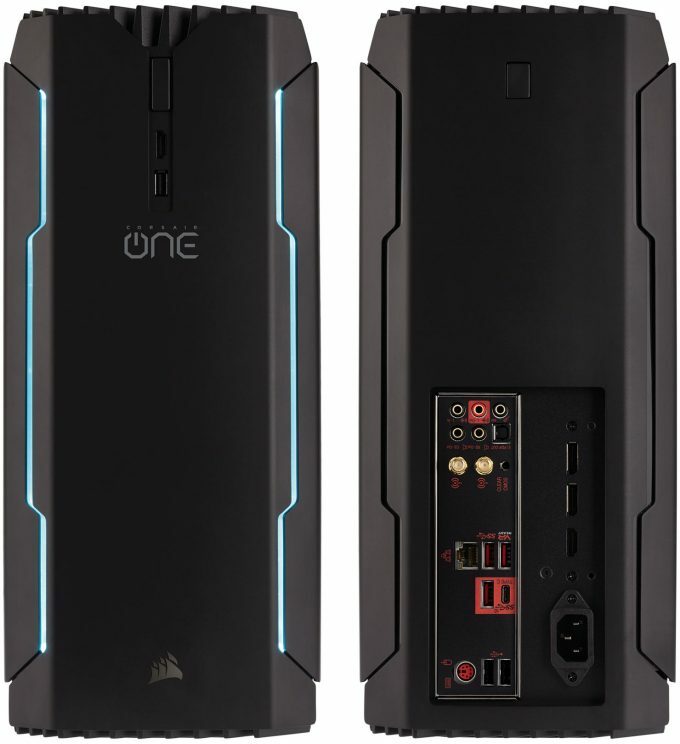 They also include Corsair’s own memory, SSD, power supply, fans, and even custom (Z270 or Z370) motherboard, simply called “CORSAIR ONE”. The ONE features a 12L chassis, so it won’t hog too much room, but perhaps even better than that is the fact that the PC should hover around 20dB at idle (load noise level is not mentioned). Not bad for a PC equipped with either the liquid-cooled GTX 1080 or GTX 1080 Ti. Et cetera The CPU and GPU in every ONE configuration is liquid-cooled. The only thing that sets the PRO PLUS and ELITE apart from one another is that the bigger model has 32GB of memory, up from 16GB. Yes, memory prices really do currently dictate a $200 price premium for a mere 16GB of memory. I’d hate to be someone building a workstation rig with 64GB right now. With the latest crop of ONE PCs, Corsair’s using the tagline, “Stream:Game:Create”, three things these PCs would be more than capable of delivering compelling experiences for. You can check out the full details right here. Corsair says that the new SKUs are “available immediately”, but both are currently listed as out-of-stock.